International Creative Cuisine - 4th Friday 6:30 p.m. This group meets to become familiar with the culture, foods and new ingredients, from countries all over the world. Sometimes one of us may have traveled to one of these countries where we found interesting, different food that would be fun to try to cook and to share the experience with other people who are not afraid to venture into the unknown. We listen to the music of the selected country as well as learn about some of the traditions. We have been known to sing and dance on this fourth Friday of the month! 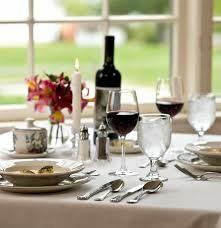 The ambiance of the country is reflected in the table setting, the décor and clothing of the diners. Ladies Gourmet - 2nd Monday 6:00 p.m.
Meet monthly at their member's convenience for an evening of fine dining and socializing. If you enjoy being adventurous with food, this is the group for you! Members enjoy dining at a different restaurant each month. Different members act as the hostesses each month. 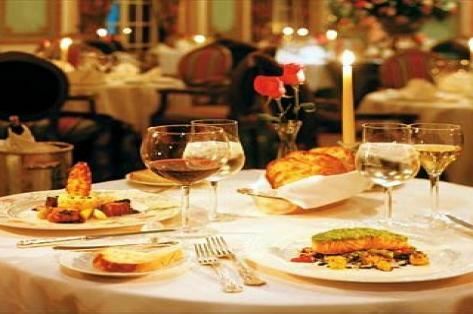 They are responsible for choosing the restaurant, contacting the people on the group list either by telephone or by e-mail, and then making a reservation for the number of people attending. New members are always welcome. 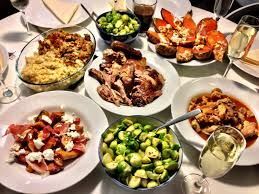 Pot Luck Lunch - 3rd Friday 12:15 p.m. This is a very popular, fun gathering each third Friday of the month. Members take turns being hostess and everyone contributes whatever dish they choose to bring. Wine is provided by the non-hostesses that year. The hostess provides the table settings, tea and coffee. There is lots of lively conversation and good spirits. The convener sends an email to a large list of interested members each month and if you want to attend that month you call or email the hostess to set a place for you. Contribute whatever you want, there is no plan and surprisingly it usually works out very well with a lovely selection of appetizers, main courses, salads and desserts. To be included on the monthly email, members should contact the convener.